In the midst of all of the Black Friday doorbuster deals and heavy holiday traffic, it’s easy to lose sight of what Thanksgiving really means. So while you pass the potatoes and the gravy this week, take a moment to remember this: Thanksgiving is a time to show gratitude for our good fortune in life and reflect on how we can show our love and appreciation for our families, friends, and even our neighbors — something all too easy forgotten in the everyday hustle and bustle. Here at Morgan & Morgan, we often ask ourselves how we can serve our neighbors, not just during Thanksgiving and the holiday season, but all year. We’re proud of what we do in the courtroom for the people, but we believe our good work shouldn’t end there. For us, protecting the people isn’t just a business philosophy: it’s a way of life. That’s why our firm dedicates a lot of time and energy giving thanks to the communities we call home by giving back in any way we can, whether it’s answering the call to action during a natural disaster, raising funds to help people coping with debilitating illness, or making sure those less fortunate have a warm Thanksgiving meal. Hurricane Maria was the worst hurricane to hit Puerto Rico in nearly a century, making landfall as a Category 4 storm with winds of 155 mph. The storm devastated the island, leaving horrible destruction in its wake. People are still without electricity and clean water, two months after the hurricane hit. With so many Puerto Ricans waiting for FEMA and aid, we knew we had to do something to help. In October, our 40 offices came together and donated 2,000 lbs of supplies, including non-perishable food, bottled water, batteries, flashlights, water purification tablets, deodorant, generators, medicine, first aid kits, and much more. But we didn’t just send supplies. We also flew out a team of doctors to help the people of Puerto Rico in need of medical assistance. John and Ultima Morgan are known for their generous donations to organizations. In the past, the Morgan family donated $2 million to Second Harvest Food Bank of Central Florida, enabling the organization to double its capacity and expand its work in feeding the hungry in Orlando. This year, they took on another important cause: homelessness in Florida. In August, John and Ultima donated $1 million to the homeless aid nonprofit Community Resource Network, an organization chaired by noteworthy Northland Pastor Joel Hunter. The Make-A-Wish Foundation’s Annual Walk For Wishes is a cause dear to us at Morgan & Morgan. The Make-A-Wish Foundation, which was founded in 1980, has helped grant almost 300,000 wishes for children with life-threatening conditions. This year, our firm raised over $400,000 to help the organization make each child’s wish a reality. One of our firm’s holiday traditions is hosting a food drive for the Downtown Tampa Metropolitan Ministries, a local independent nonprofit that serves the poor and homeless of Hillsborough, Pinellas, Pasco, and Polk counties by providing vital resources like food and housing. In 2016, we came together as a firm to donate a whopping 1,242 lbs of food. 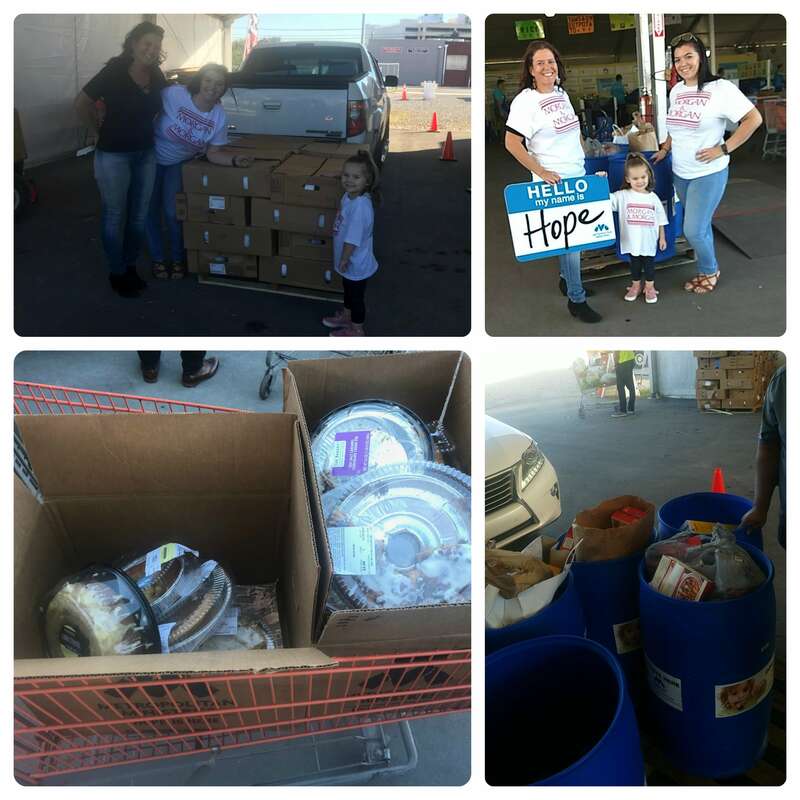 This year, we did even better: we delivered a total of 1,339 lbs of food, including 80 frozen turkeys. This donation will help hungry families in Tampa to have a warm, delicious meal this Thanksgiving. Every year, our offices support the survivors of breast cancer and their family members, as well as honor those who were lost, and this year was no exception. Our Nashville office dressed in pink in recognition of Breast Cancer Awareness Month. That’s not all the Nashville office did. 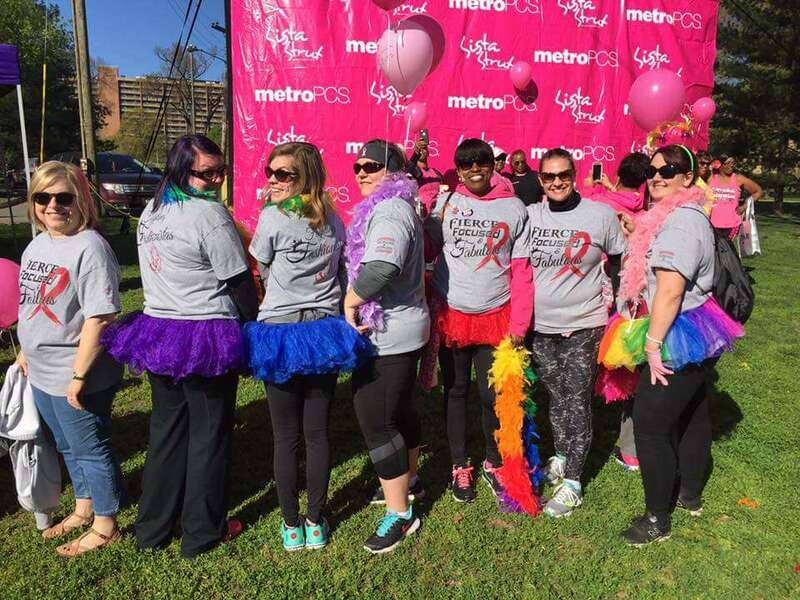 In April, the office also took part in Sista Strut, an event organized to heighten awareness about the issue of breast cancer in women of color. 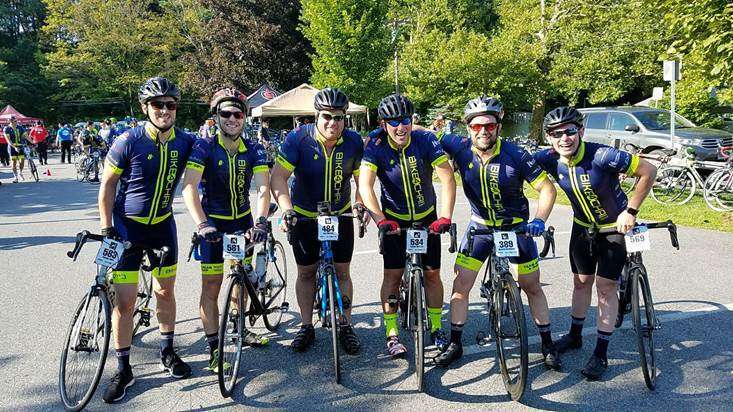 Morgan & Morgan’s Brooklyn office sponsored a team for Bike4Chai, a charity ride to raise money for children living with illness. The team raised $110,000, cycling 180 miles over the span of just two days. Team Morgan & Morgan were greeted by the children and families of Camp Simcha in Glen Spey, NY at the end of their strenuous bike ride through Connecticut, New Jersey, and New York. Epilepsy is a cause that’s very close to the hearts of those in our firm. That’s why we were so proud to be able to raise over $45,000 for the Epilepsy Foundation’s very important mission to find the cure and overcome the challenges of living with epilepsy. Studies show that medical marijuana could be a viable treatment for epilepsy. In 2016, John Morgan led a successful campaign to legalize medical marijuana in Florida for people with epilepsy, ALS, cancer, multiple sclerosis, and other debilitating conditions. He continues to fight for the wellbeing of people living with these conditions by pushing Florida to allow smoking for the medical use of marijuana, which is currently prohibited by the state. After last year’s successful turnout, our firm announced its second annual For The People scholarship, a $2,000 fund to be put towards tuition or other education expenses for eligible law school students. By offering this scholarship, we hope to support the next generation of attorneys, and encourage them to approach their legal career with the mindset of fighting for the people, not the powerful. In May, our Tampa office participated in the March for Babies, an event hosted by March of Dimes. This nonprofit organization works to help end premature birth, infant mortality, and birth defects. We were able to raise nearly $5,000 for this vital cause. Taking part in charitable events throughout the year is just a small token of our gratitude to the cities that our offices call home, and we’re not done yet for 2017. Our offices will continue raising money each week for important causes, and as we approach the New Year, you can expect the Morgan & Morgan family to give back this Christmas and Holidays Season in fun and exciting ways. Stay tuned to see what we have in store for the end of the year!